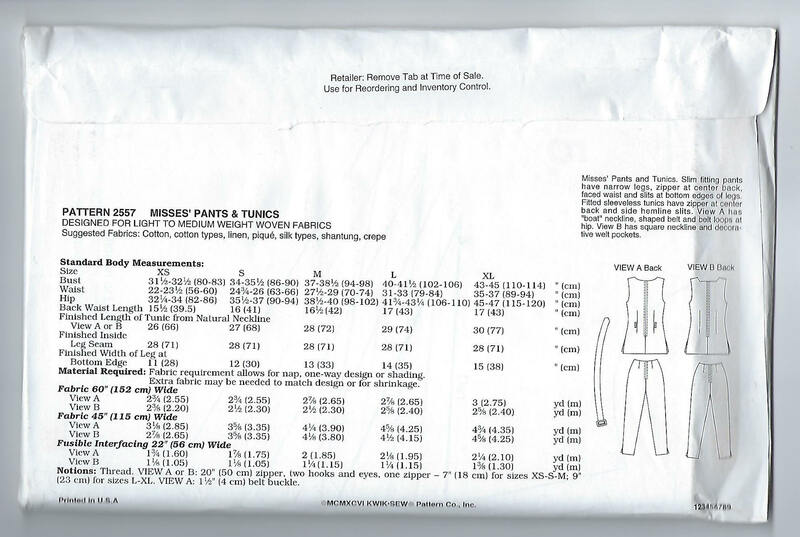 Package contains patterns and instructions to make MISSES Pants and Tunics. Slim fitting pants have narrow legs, zipper at center back, faced waist and slits at bottom edges of legs. Fitted sleeveless tunics have zipper at center back and side hemline slits. View A has "boat" neckline, shaped belt and belt loops at hip. 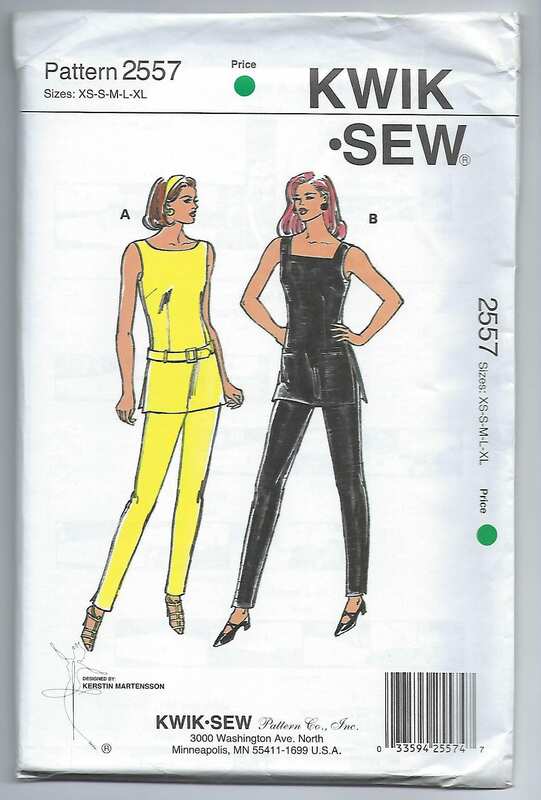 View B has square neckline and decorative welt pockets. For Light to Medium Weight Woven Fabrics. Designed by Kerstin Martensson.